You don't have any plan for tonight yet? We would be pleased to take you by bus to our restaurant tour boat. During three-hour-cruise you can enjoy tasty dinner and live music. Our guide will be available the whole time to provide information about the beautifully illuminated monuments on both banks of the Vltava River as you pass them by. Of course, there is a bar with a wide assortment of alcoholic and nonalcoholic beverages and pleasant serving staff for you on call. 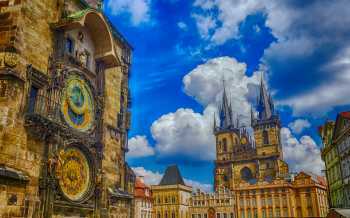 The tour includes a short drive through Prague by an air-conditioned bus to show you the most beautiful places of the Old Town, the Jewish Quarter and the New Town. After the cruise you will be brought back to your hotel. 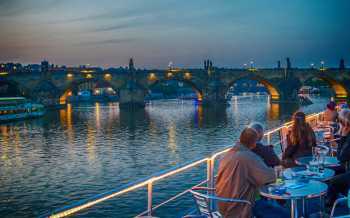 The tour includes transportation by bus to the boat and a three-hour cruise along the Vltava River with a buffet dinner. A welcome drink is included. Other drinks are not included in the cruise price. The guided tour can be conducted in 6 languages - English, German, Spanish, Italian, Russian or French. You will spend two 20-minute breaks in the Smíchov locks during your trip. Did you know that the Vltava is the longest river in the Czech Republic? Did you know that the Vltava River has 9 artificially created islands that are centers for relaxation, entertainment and cultural events? 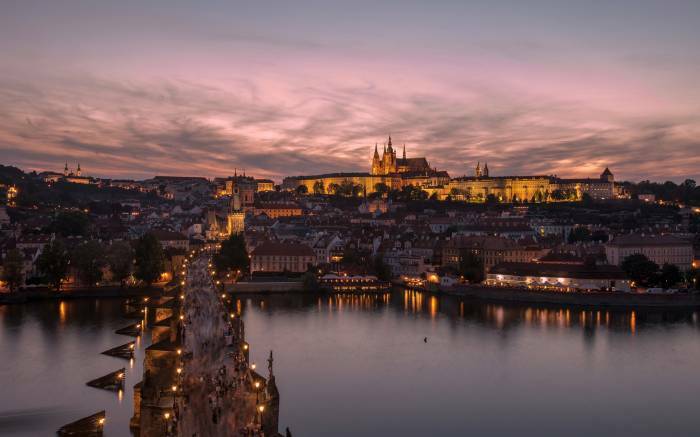 Did you know that for 600 years the Charles Bridge was the only bridge in Prague? Would you like to enjoy a tasty lunch in the Centre of Prague in an unusual place? We would like to invite you on a two-hour cruise with lunch! Save with this package, which combines the two most popular tours – in the city centre during the day and on board a boat at night. Would you like to take a photo of Charles Bridge, Prague Castle, Kampa Island and the other sights of Prague from water level? This very popular boat trip on the Vltava River is suitable from small children as well. Enjoy a romantic dinner with live music on board one of our boats.